I have loved Bereishit (Genesis) for longer than I can remember and am excited to present the first in a series on Bereishit called ‘In The Beginning…’. 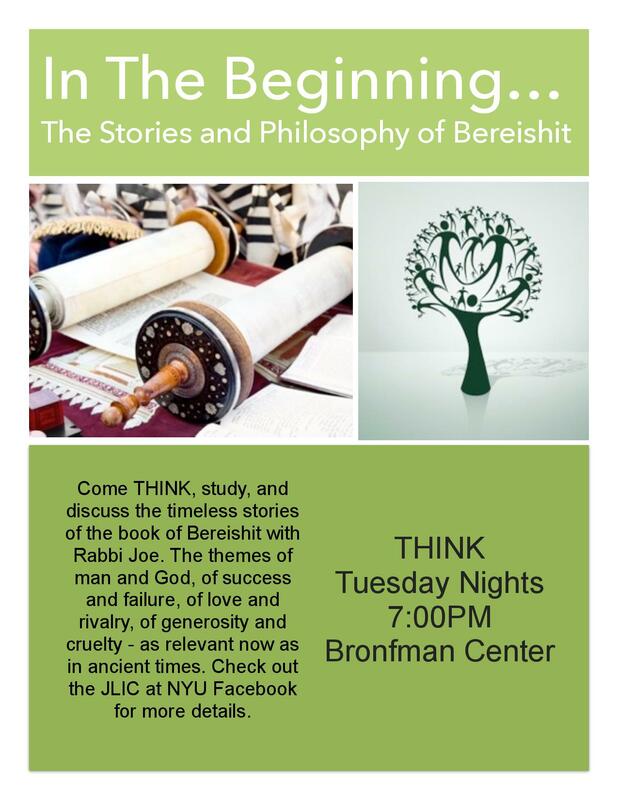 Given at NYU’s weekly THINK event, this particular shiur covers parshiyot Bereishit and Noach and examines the differences between Adam, Kayin, Noach and Avraham in their relationship with God, and in their respective strengths as characters and potential leaders. Listen to the shiur here and check back in for weekly installments 🙂 All responses and thoughts welcome.